Essay by UPSC Topper Ritu Raj (CSE 2014 Rank 69): How can the new government make India a global manufacturing hub? 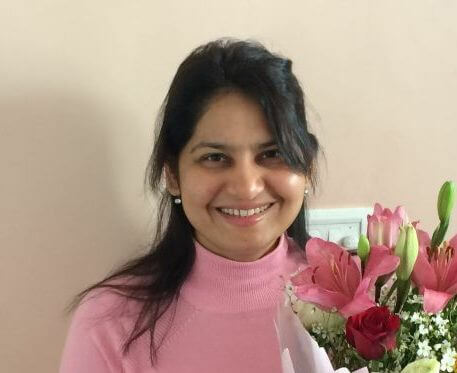 Ritu Raj made into Indian Administrative Service (IAS) this year with All-India Rank 69 in UPSC Civil Services Exam. 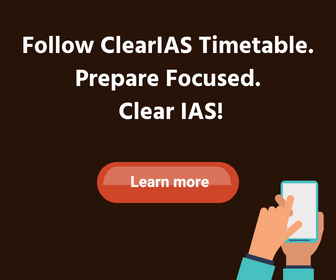 He had shared one of his essays he wrote in October 2014 – during his UPSC preparation days – for the readers of clearias.com. We are sure that this write-up can help lot of aspirants not only in essay writing, but also in General Studies papers. 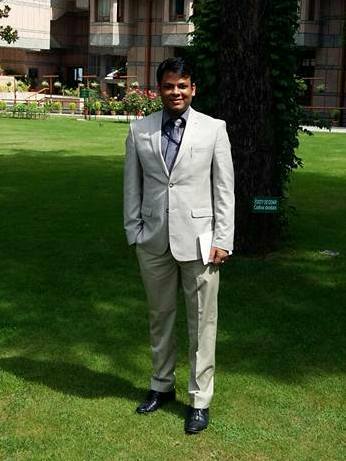 Clear IAS, on behalf of our readers, congratulate Ritu Raj for his exceptional performance in UPSC CSE 2014. We wish you all the best and a successful career! Essay topic: How can the new government make India a global manufacturing hub? The first PM of India had referred the Industries of India as “temples of modern democracy” and it can hardly be refuted today. The industries of India were one of the major entities to protect the democracy of India, to check the growth of Neo-Imperialism that pervaded through the cold war and thereby helped sustain the economy and civil libertarian democracy which was left devastated and exploited at the dawn of independence. The nature of growth of industries has seen transformation with the changing global scenario and domestic conditions traversing from a centralised economy to now a neo-liberal free trade economy. Today, India boasts of 3rd rank in world in GDP in PPP terms even ahead of Japan, a heavily industrialised nation and indeed the accolades has to be given to the economic growth and development brought through our industries which otherwise would not have been possible. However, there stands in front of us our dreams – a dream to make India a prosperous and vibrant country. A dream to reduce the gross inequality that exists today and dis-empowerment that exists today traversing region, gender & economy. A dream to bring sustainable and inclusive growth and a dream to make India a global superpower and feel proud of our nation. This dream forces us to introspect the past failures and reinvigorate our actions and policies that not only make India a GLOBAL MANUFACTURING HUB but also a Nation of Our dreams as envisaged in the Preamble of our constitution. In this essay, we shall see a brief evolution of the growth of industries in India and the present scenario. We shall then go through the various problems that hinder the growth of India as a manufacturing nation. We shall analyse how certain policy measures have affected the right policy climate and confidence of the private sector which has curtailed investments from both foreign and domestic avenues. We shall then suggest reforms and steps that needs to be brought in to bring the right policy climate which is stable, predictable, enabling and irreversible and not only boosts investments in India but make India a favourable business venture while also keeping in light of the fact that India is still a developing nation and the interests of the Nation has still to be protected in era of globalisation and free market economy. The Indigenous Industrial growth in India was in contestation with the British on-going Financial Capitalism. Thus the growth was highly resource starved, with lack of Indian heavy industries and dependency on foreign imports. It checked the growth of Indian ancillary industries bringing huge unemployment and regional imbalance. The backwardness and dependency of Indian private industries was precisely the reason when in the BOMBAY PLAN-1946 , the industrial class accepted a State-Controlled mixed economy over private led in-order to boost rapid industrialisation and also to pre-empt socialism by combining equity with growth. The Industrial Policy of 1956 had highlighted the need for a mixed economy and the need for heavy industries. The Nehru-Mahalanobis model of growth boosted the growth of heavy enterprises in India and India witnessed the growth of steel plants, huge dams, manufacturing units – automobiles, ports, airports etc. which was slowly but steadily transforming India. However the prolonged continuation of Import-substitution-Industrialisation model, the growing ICOR(incremental capital output ratio) of industries in mid-1980s and the failure to make a timely shift to a liberalised economy which was rightly tapped by the south-east Asian nations, culminated in the economic crisis of 1991 and forced institutional changes in the economy that brought in liberalisation, privatisation and globalisation of the Indian economy. The situation of the economy as it exists today is that it stands on solid grounds with lots of positives to surge ahead. India today is called as the Back-Office of the world with our IT sector dominating the world. There is huge skilled Labour resource and booming market for the world with the growing capacity of the people brought in through various enabling social legislations and the growth and development. The proximity to both Africa and south-east Asia and strategic location of India in the Indian Ocean offers great business opportunity for the business community of the world. The growing partnerships and FTAs(free trade agreements) with ASEAN, SAARC provides added opportunity with the India’s growing interest in Regional Comprehensive Economic Partnership (RCEP) — a grouping led by the Association of South East Asian Nations (ASEAN) and is expected to pitch in with $644 billion. There are more than 13 major ports and 200 small ports that can be effectively used as trans-shipment hub. The government today is much better prepared and motivated to boost investments in the country and it can be ascertained by the vigour that the government has displayed in the current budget-2014 that aims at resolving tax disputes, and bringing a stable policy climate for the industry. The Forex-Reserve is more than $300 billion, the average growth in the 11th FYP was 7.9% even after facing two economic crisis. The CAD(current account deficit) was as low as 1.7% of GDP while FD has substantially reduced to around 4.1 %. The inflation as is witnessed currently is below 5.9 of CPI which is historic low. The growing infrastructure like roads, electricity, transport, shipment etc have just transformed the economy which is huge as compared to India even of 1990’s. These factors coupled with huge demographic dividend, huge availability of raw materials are the prerequisite and essential conditions for any country to be a manufacturing hub and is readily available in India. However there are lots of drawbacks that have hindered the actual realisation of the potential that India is capable of. This can be enumerated by the fact that despite substantive liberalisation since last 6 months the economy has not really caught up. The ease of Business doing in India is 134/189 countries in world in 2014. The statistics of the last year shows negative growth for mining sector (-1.4%) and manufacturing (-0.7%) in 2013. GDP share of manufacturing is still 15%. The Inflation was as high as 9% until recently. This statistics do not augur well to drive investments and thereby boost manufacturing. It also brings forth the picture that there is no one factor inhibiting growth and investment and the situation requires a more detailed in depth understanding. Let’s try to analyse the same one by one and recommend for changes. Over regulation and delays in procedural clearances of projects (ex. POSCO steel plant got its environmental clearance after 8 years to start construction in Odisha). No single window clearances for projects- the NeGP(national e-governance plan is yet to catch up in all departments). Land acquisition is still de-motivating even after the LARRA, 2013(land acquisition resettlement and rehabilitation act) making the land even more costlier than before . The FDI in India is still regulated in various sectors and comes with extreme safeguards. The FDI in MBR is classic example where India hardly received any investment despite making it 51%. There has been increasing demand for full convertibility of rupee which calls for more FDI and better rates. There is increasing number of regulatory bodies and control from plethora of organisation adding to the confusion and woes of investors. (SEBI, PFRDA, IRDA all work in financial sectors with interspersed jurisdiction). The issue of RBI to contain inflation as well as maintain growth and investment is facing criticism from all sectors with demand for a separate DMO (debt management office). The retrospective amendment of the Income Tax law,1961 in the Vodafone case has been one prime concern of business class and foreign investment seeking for a stable and clear policy guidelines (which are yet to be detailed in elaboration since the budget speech of FM). Lack of clear policy guidelines with ambiguity in various sectors . There is a lack of institutionalised mechanism of effective participation for policy making which includes the private sector as well as the civil society (it must be noted that USA has institutionalised lobbying to provide fair play to all concerned). Unavailability of Roads especially in rural areas are hindering penetration of industry to rural sector. Power is the major concern in India. The Japanese delegation to India a week ago highlighted the need for power and infrastructure to motivate Japanese investment of committed $35 billion in india. It brings out the grim reality how investments are curtailed . The software companies (Infosys) have started their own solar projects to meet their power needs, which is not possible for small start-ups. The need for a cheap means of transport and swifter travel is long felt. The National water ways are yet to be developed with only recently some action can be perceived. However the long gestation period involved in such projects is hardly motivating. NUCLEAR LIABILITY LAW, 2011 of India has been well detested by the foreign market and despite of the waiver granted for nuclear trade, the projects related to nuclear power plants have not picked up . The gas pricing policy though addresses but is yet to yield result. The investments and budget allocations have not grown in accordance with the demand for various sectors esp. MSME (medium, small and micro enterprises) which though is accountable for 60% of the industrial output. The expenditure is increasingly tilted towards subsidies which is reducing the capacity of the government. Fiscal consolidation and fiscal prudence not well adhered to with the FRBM act being tweaked whenever felt necessary. There is also the growing challenge from the FED-TAPERING of the USA which is going to have substantial impacts on India. The growing pressure in different forums to open up the market and free trade as per WTO rules with a need still felt to protect the indigenous sectors. The growing prowess of Chinese markets and products and the acceptance of the Free Trade Area of the Asia-Pacific (FTAAP) in the on-going APEC (Asia pacific economic co-operation) does not augur well for Indian products. USA demand to include HFC (hydrofluro carbon) in the Montreal protocol need to be checked as lots of our industry is dependent on that product . The increasing protests against protests by NGO some even vested ones(IB report on GREEN PEACE acting against the developmental interests of India) calls for a effective regulation of such vested interests. The growing consensus on clean energy and reduction targets according to the KYOTO protocol and India’s dependency on fossil fuels can act as antithetical to growth of India. There is a need to balance growth with sustainable development and it calls for distinct and clear policy guidelines which is acceptable to all and projects do not get stalled. The growth of LWE(left wing extremism) in the eastern corridor has substantially deterred investment in the resource rich region of Jharkhand, Bihar , Odisha, West Bengal etc. The Manufacturing Policy of india, 2011 that aims to make the sectors GDP to 25%. It envisages to set up NIMZ (National Investment and Manufacturing Zone) which needs to be given fresh impetus. The growth of industrial Corridors like the DELHI-MUMBAI, CHENNAI-BENGALURU, MUMBAI-BENGALURU, needs to be prioritised and be developed with world class facilities and infrastructure and transport with enabling reforms like tax holidays, tax benefits etc that can spurt investments in these clusters and make it the industrial Hub of the Nation. Digital India Programme has to be reinvigorated and has to be mandatorily introduced in all governmental departments. It should aim at making online filing of projects, tracking and monitoring of clearances. Aim to bring transparency in the system and reduce bureaucratic red-tape and procedural delays. Aim to make single window clearances for all projects including in the state government. Try to rationalise regulation by curbing the number of regulators and check victimisation of industrialists. Efforts should be brought in all sectors. The recommendations of the FSLRC(financial sector legislative reforms commission) should be implemented. It will separate the role of RBI and better inflation targeting and UFA (unified Financial Agency) will bring coherence in regulation in financial field to check discrepancy and all also not over-regulate things. It will enhance investors sentiments especially in the financial sector which can further boost investment and strengthen Forex. MAKE IN INDIA campaign – which aims to boost foreign investment in India is in the right direction. It has set up dedicated committees to explain the policy, sort out ambiguity in laws, and faster clearances of projects. This programme needs more boost and effectively taken up in different forums like ASEAN, SAARC etc. Ease of doing Business needs serious look at and normalised to yield effective results on the ground. Needs-based holism (reorganizing government around distinct client groups)- along with combining the principle of subsidiarity(activity mapping) to be kept in mind while allocating business to ministries, departments and state agencies which will drive efficiency in file movement and management. The Public Procurement Policy needs a revamp and should not bias towards PSUs and should create healthy platform for private sector to participate through transparent competition. The Labour Reforms brought in forth by the government is a welcome change and is very well hailed by the business community. Incentives must be provided to the states to bring in such changes in their respective state laws as soon as possible. Desirable legislations can be already seen in Rajasthan. FDI in various sectors need to come with more liberalised norms to facilitate investment. The infrastructure sector especially Roads and power sector needs to be addressed immediately. Rationalising of the clauses of the Nuclear liability law can be done to boost nuclear energy. The Gas pricing need to be more lucrative to drive investment to boost exploration . JNNSM(Jawaharlal Nehru National Solar mission) has to be taken in a more dedicated manner and at a national scale that can reduce the prices of the solar panels and spurt demand and investment. The various archaic laws need to be done away with. The Productivity Commission/committee to review old laws as envisaged in the budget-2014 to remove or replace old laws need to be proceed at faster pace. There has to be effective grievance redressal system especially related to taxation cases. Vodafone case, Nokia case do not augur well for the economy and retrospective taxation should be completely avoided to build confidence in the economy. Taxation related reforms need to be brought in fast. Efforts to bring GST (Goods and services taxes) act should be made faster. As envisaged it can boost tax collection and thereby the capacity of the government to fund more projects. It is like a FTA signed with the Indian states and can substantially reduce time and cost by reducing multiple check posts and tax barriers. The rationalisation of plan and non-plan expenditure needs to be addressed while FRBM act needs to be well adhered to. Fiscal consolidation must be practised and it also calls for the rationalisation of the subsidies and its effective targeting. Such steps will enhance the capacity of the government. The DTC code bill and the provisions of the GAAR (general anti-avoidance rules) need to be factor in the concerns of the private sector before being introduced. The various FTAs (free trade agreements) have added benefits for the nation. However cases of INVERTED DUTY STRUCTURE needs to be addressed before signing of FTAs. Issue of human resource also needs to be addressed. The recent trend of brain-drain from India has to be checked by further investment in Research & Development and higher education facilities in India. It is critical for the development of new innovations and research and growth of technology and latest product which drive the world market. The recent controversy related to autonomy of IITs/IIMs should be done away with as fast as possible to fast track clarity in objective. The Diplomatic efforts should be towards gaining more access to markets especially in areas where India has competence. Look East policy being replaced with ACT EAST has reinvigorated the sentiment of the private sector. The Use of strategic location can be effectively communicated to develop India into a trans-shipment hub for other nations especially to Africa and South-East Asia via India. The Use of Andaman & Nicobar to provide container facilities and shipments in a regulated manner should be carried out. Electronics Policy of India, 2012 recently unveiled aims to establish GLOBAL ESDM(Engineering system design and manufacturing) in India of worth $400 billion. The Policy needs more clarity as to how such investments are to be brought in and should also offer incentives to industries to set up industries. There is also a need to tap the vast labour resource present in the Eastern Sector of India. However incentives must be given to industries to set up their base. The Use of National Water High Way -1 from Allahabad to Haldia for providing cheap transport to the port for export can be extensively used to boost production and manufacturing. Railways budget 2015 offers great opportunity to transform growth and manufacturing in India and should be pursued diligently. Congruence between fiscal policy and the monetary policy is essential to drive investment and growth and boost manufacturing. Finally the policy of boosting growth of the country through manufacturing should be carried in a manner which is sustainable manner and inclusive. It will keep driving the future prospect of the economy by creating the virtuous cycle of demand and supply. World Bank Report of SOUTH ASIA ECONOMIC FOCUS REPORT, 2014 has highlighted fact that SOUTHASIA has the potential to become the “MANUFACTURING HUB” of the world especially when the East Asian Labour costs have increased and requires further competitive boosting. It also highlighted that India will claim ALMOST 80% of the SOUTH ASIAN REGION OUTPUT. The above report sums it all for the future prospects of India and the potential that it carries to be not only the “BACK-OFFICE” of the world but also the “FACTORY OF THE WORLD” and claim it rightful place in the world economy. Another report of World Bank in 2015 related to Urbanisation challenges the common notion that urbanisation leads to inequality rather stated that it provides more opportunity for lower class to move into upper class and thereby reduces inequality and is especially true for the SC/ST/OBCs. Thus manufacturing and urbanisation which are intertwined can lead to not only growth but also holistic development. The world is eagerly awaiting to witness the rise of the “ASIAN ELEPHANT” and it is time to prove them right. The vigour of the political class displayed by the new government to boost manufacturing and growth along with the favourable global conditions augurs extremely well for the rise of India. The favourable policy climate brought in by various legislations and the improving economy of USA and Europe has brought in new prospects for the Indian Manufacturing Industry. IMF states India as a “bright spot” in a slow global economy. However there is more to be done than said or spoken about. This favourable conditions has to be conditioned with the strengths of India which is its cheap labour, skilled resource and huge market coupled with dedicated and transparent administration. Good Governance has to be brought in through a networked approach of Government, private sector and the civil society that will facilitate and build trust and confidence essential with adequate checks and balances for any economy to grow and India is no exception. It is only through dedicated and sustained efforts that India will attain “SWARAJ” in its true sense and be not only the global manufacturing hub but also the “light of the world”. IF POSSIBLE THEN SHARE AND UPLOAD SOME PUBLIC ADM. QUESTION -ANSWER WRITTEN IAS RITU RAJ…….PLEASE….. IT WILL GIVE US IDEA HOW TO WRITE ANSWERS AS HE HAVE GOT VERY GOOD MARKS IN IT . What is the best IAS coaching institute in New Delhi..Kindly help plz? Its too long… way way beyond UPSC limit. I dont think he has written such long essay in exam itself. Doesn’t this encourages crony capitalism and unnecessary inflation?